My wife and I almost always attend the Remembrance Day ceremonies at Toronto’s Old City Hall. (I posted a piece for this blog about the ceremonies in 2012 (http://truthandshadows.wordpress.com/2012/11/30/peacenik-reflects-on-remembrance-day/). I tend to agree with predictions that turnout this year may exceed previous years. Remembrance Day speeches, as well as the whole setup of Remembrance Day ceremonies, tend to ennoble if not glorify war. This year the homilies are certain to make reference to the events in St-Jean-sur-Richeleau and Ottawa. Canadian authorities, it was reported, asked the FBI to assist in the investigation of the “terrorist” events in Canada. The FBI’s record shows that the assistance would most likely be in sharing with their buddies north of the border in the finer points of how to mount a false flag op. Investigative reporter Trevor Aaronson’s book The Terror Factoryexposes the FBI’s inside role in creating “false flag terror.” He writes that as of 2011 the FBI was involved in more than 500 cases of “manufactured” terror. From Lee Harvey (“I am just a patsy”) Oswald to Rolando Galman (who gunned down Benigno Aquino, Jr., former Philippine Senator, as he stepped off his plane, and then himself was gunned down) to the “Boston bomber” Tamerlan Tsarnaev, patsies or hired assassins tend to become deceased – quickly. Dead men tell no tales. 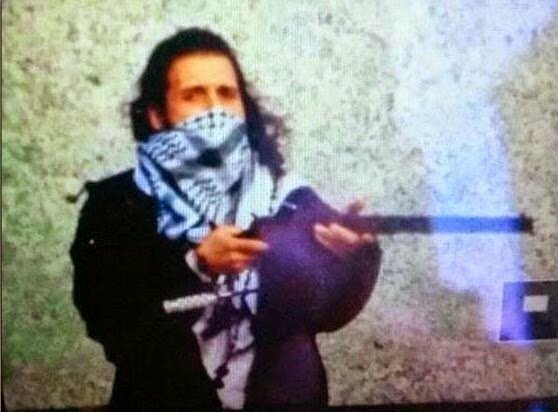 Typically, Michael Zehaf-Bibeau and Martin Couture-Rouleau are no more. Amy MacPherson of Free The Press Canada (https://www.facebook.com/FreeThePressCanada) hit the ground running in those first hours and days. On Tuesday, October 23rd she posted a lengthy piece, carried the next day on GlobalResearch containing damning evidence of rolling censorship on social media including Twitter and in mainstream media including the Toronto Star and the CBC. “…how American intelligence knew the name of a ‘possible terrorist’ as the mayhem was still unfolding. How did Americans know when Canadians didn’t, and how was this information so widespread that American media and Google had access to distribute, but domestic reporters on the scene did not? Tom Walkom pointed out the events were not unprecedented. 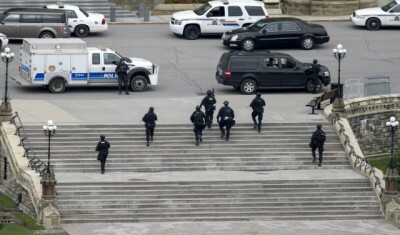 In 1984 a disgruntled Canadian Forces corporal killed three and wounded 13 in Quebec’s national assembly. “We know,” Walkom continued, “that in a situation like this, facts are secondary,” and “at times like this, it is easy to lose all sense of proportion.” Haroon Siddiqui asked why, “if Martin Rouleau, a.k.a. Ahmad the Convert,” was in the crosshairs of CSIS and the RCMP for months, he was not being tailed. “If the stratagem is not seen through, the second big boost to Harper will be to justify the despotic rule and quasi-police state he has built with ever more prisons amidst declining crime, ever more anti-terrorist rhetoric and legislation, ever more cuts to life support systems and protections (the very ones which would have prevented these murderous rampages), and ever more war-mongering and war-criminal behaviours abroad. Barrie Zwicker is a renowned Canadian journalist, best selling author and documentary producer.